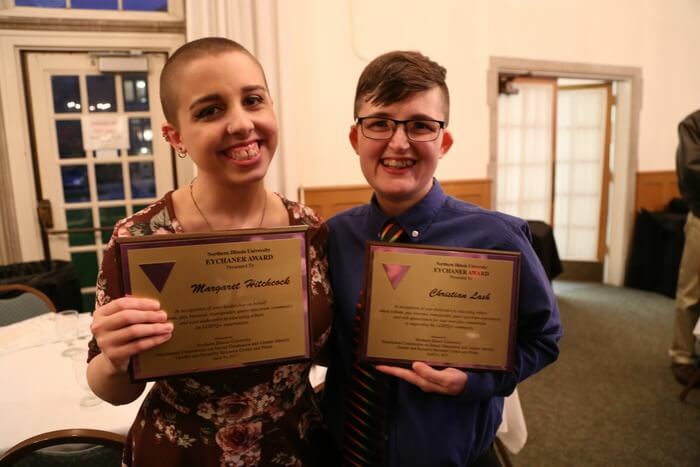 Now is the time to recognize those on campus who have gone the extra mile to enhance the lives of people who are lesbian, gay, bisexual, transgender and/or queer spectrum (LGBTQ+). Campus officials are looking for nominations for the Eychaner Award. This honor, presented in two categories, recognizes contributions made by an NIU student and a faculty or staff member or an NIU alumnus. Persons who have been affiliated with NIU for two or more years are eligible for nomination in the appropriate category. Complete nominations are due by 4:30 p.m. Monday, March 19. The award was established in 1995 when its namesakes, Howard and Milly Eychaner were honored. The Eychaners were active in the DeKalb and NIU communities, with Milly being a 1941 alum of NIU. 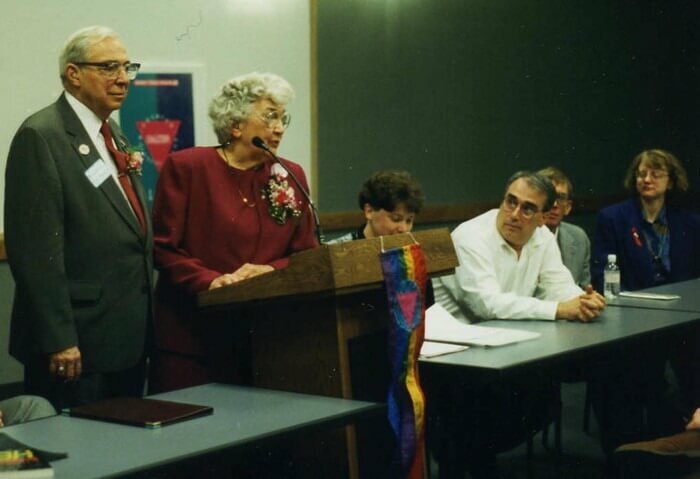 The couple was instrumental in the founding of DeKalb County’s chapter of PFLAG (formerly known as an acronym for Parents, Families and Friends of Lesbians and Gays). Further, they were trailblazers for the inclusion of LGBTQ individuals in their church. In honor of their legacy, the presentation of the Eychaner Award serves to recognize and encourage the leadership, dedication and commitment of individuals who have made positive contributions to social justice and equality on behalf of people who identify as LGBTQ+. The award honors and celebrates the goal of creating a society which accepts and values people who are LGBTQ+ who make positive contributions to the LGBTQ+ community visible to the wider community and who recognize achievements and contributions which might otherwise go unnoticed. The awards will be presented at the Pride Awards dinner on Friday, April 20. Complete eligibility and nomination guidelines and a list of past recipients are available online.